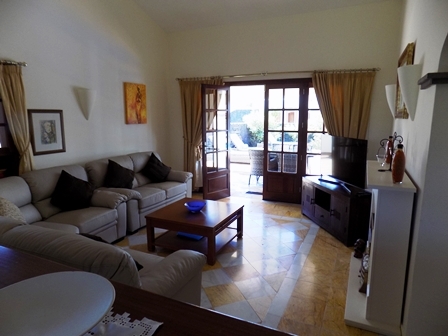 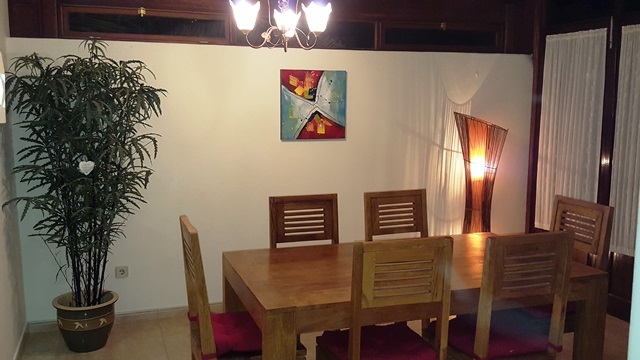 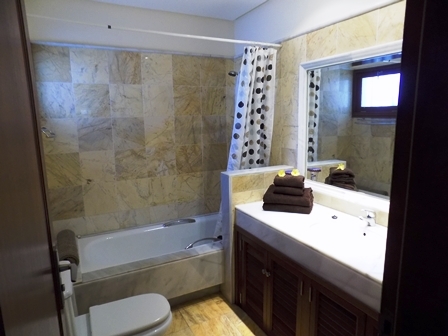 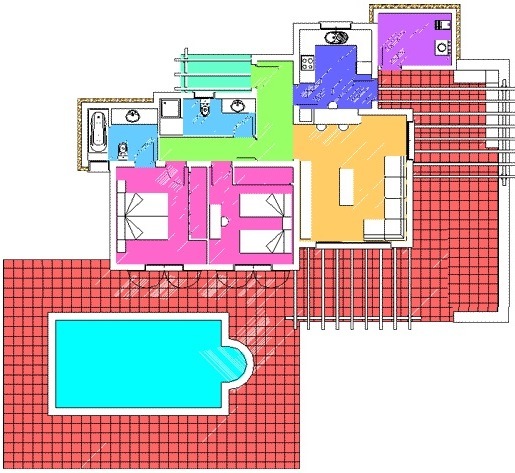 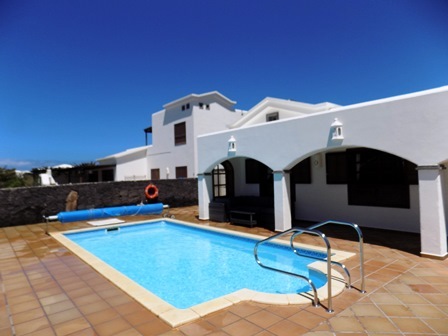 Located on Phase 3 of Faro Park, Playa Blanca, Los Arcos ("The Arches") is 2 Bedroom villa sleeping 4 comfortably. 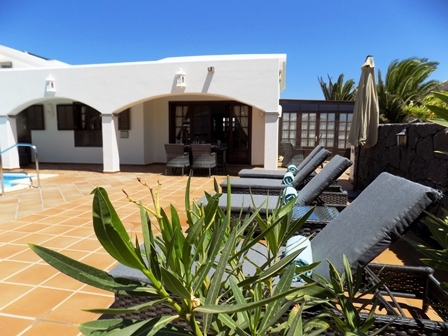 The thing that sets this villa apart from others is the stunning outside Grey Rattan furniture which shows no expense has been spared by the new owners in updating this villa. 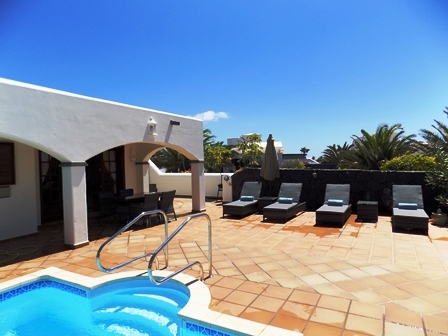 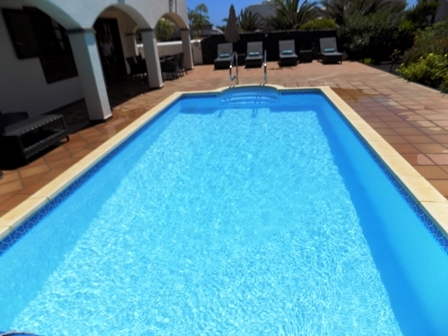 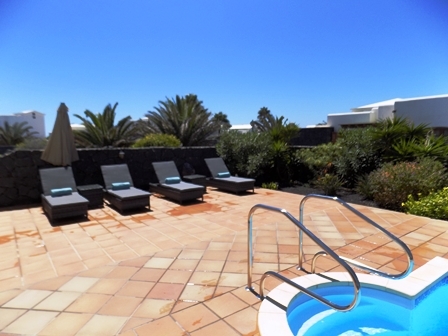 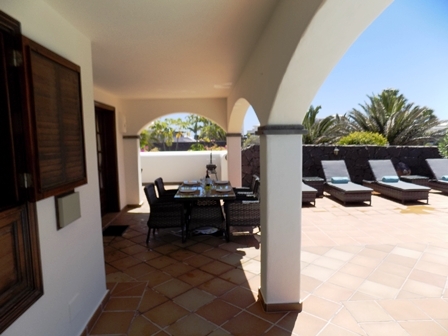 There is an 8m x 4m private heated pool and ample patio space, both shaded by the arches or open to sunbathing allowing you to relax amongst mature canarian gardens. 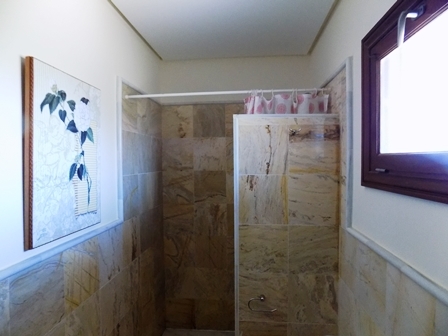 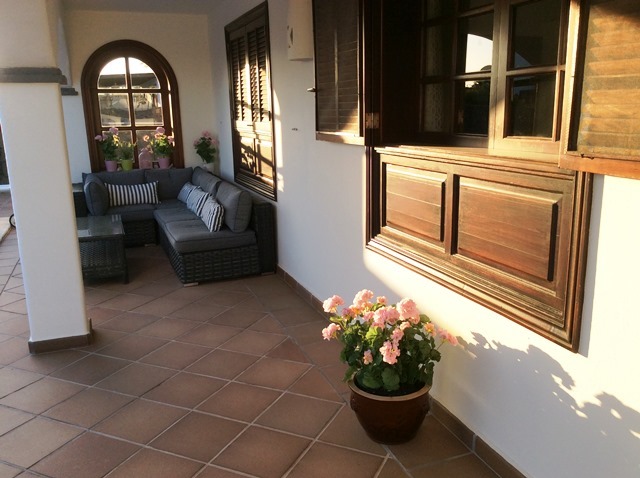 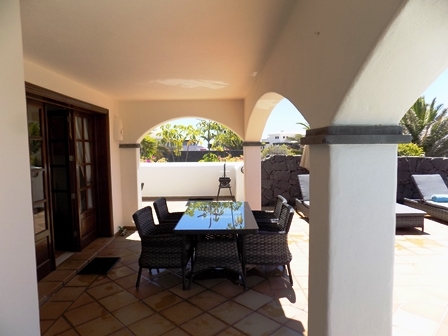 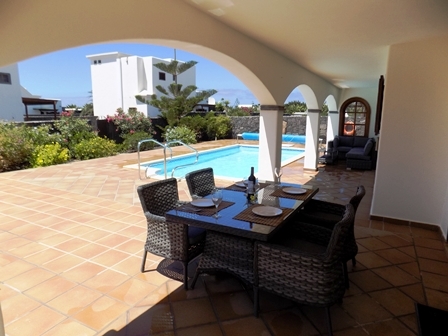 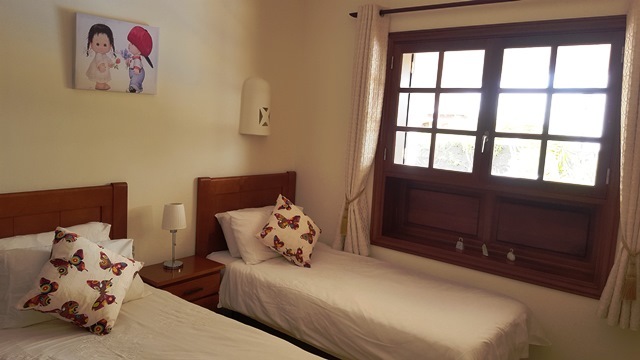 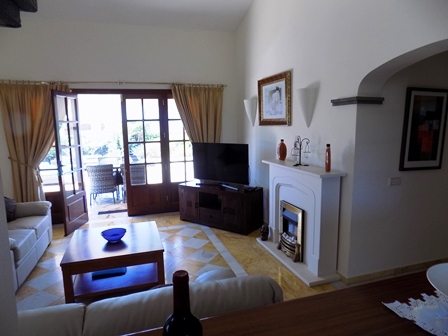 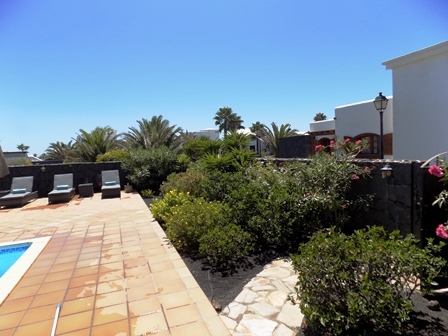 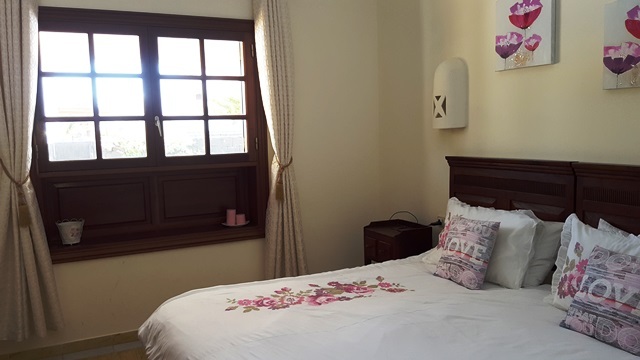 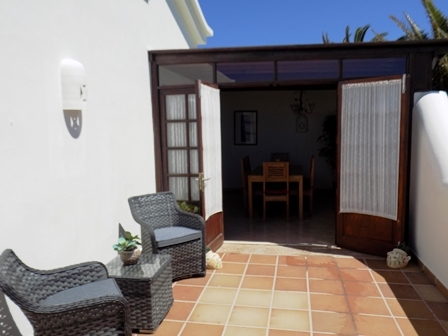 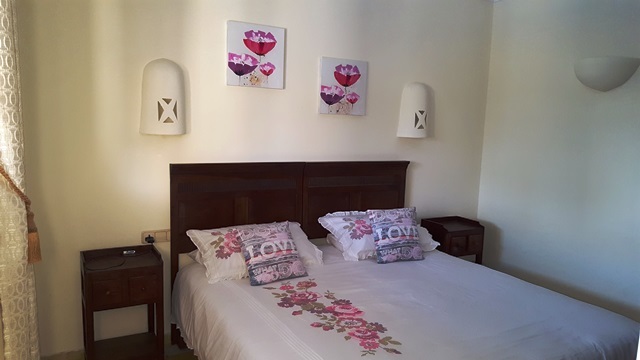 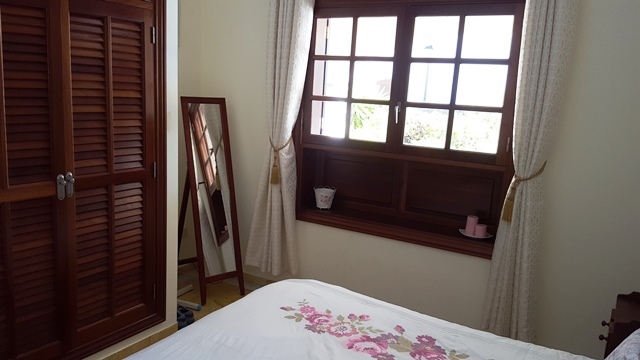 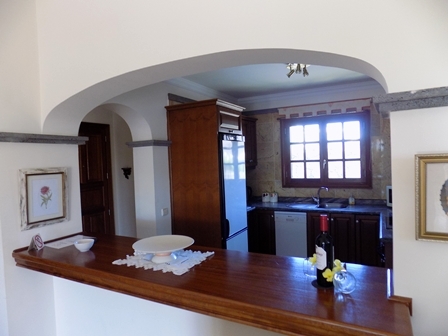 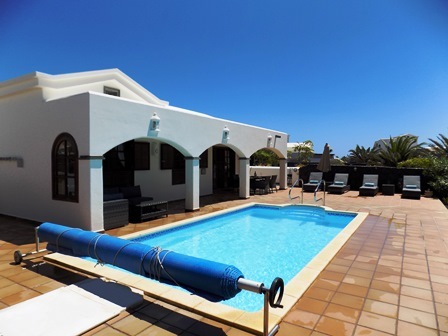 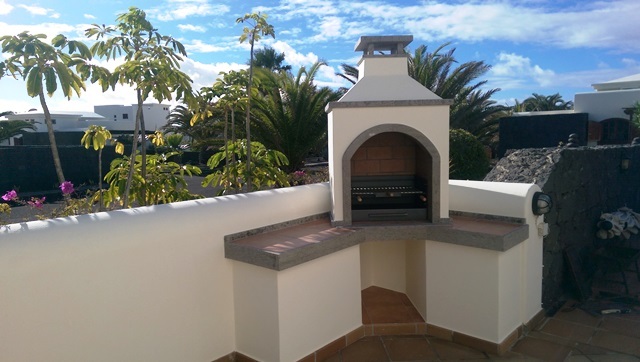 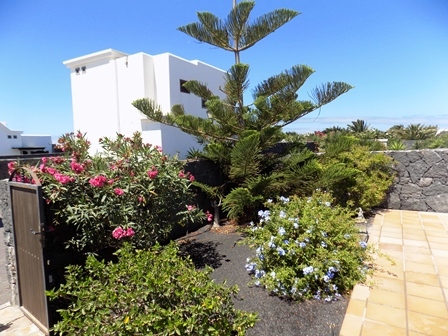 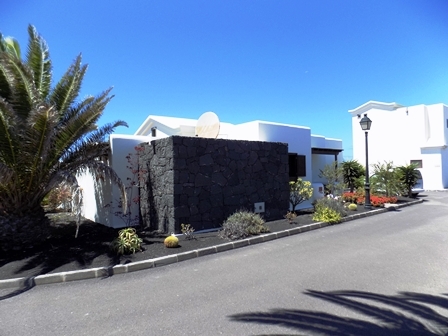 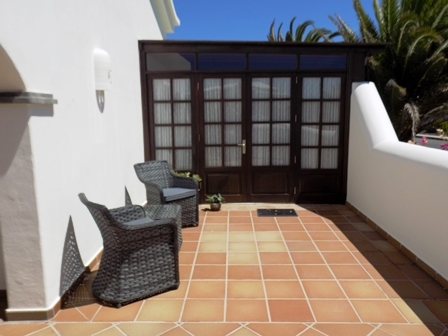 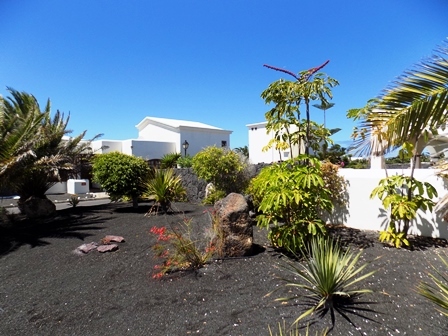 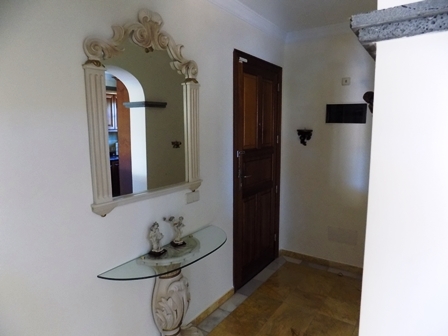 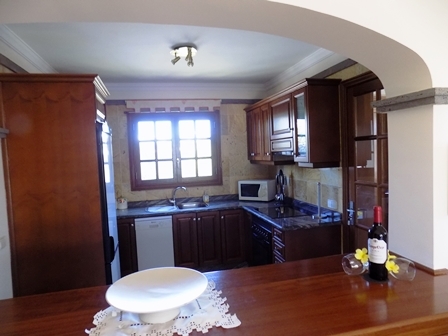 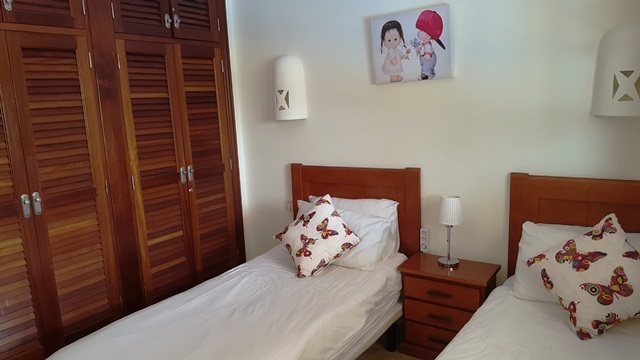 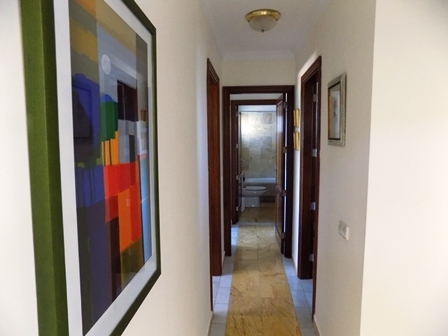 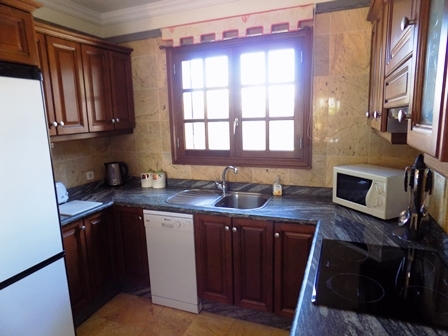 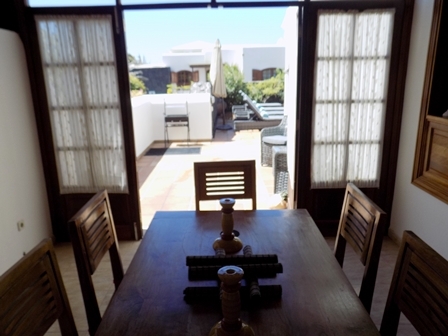 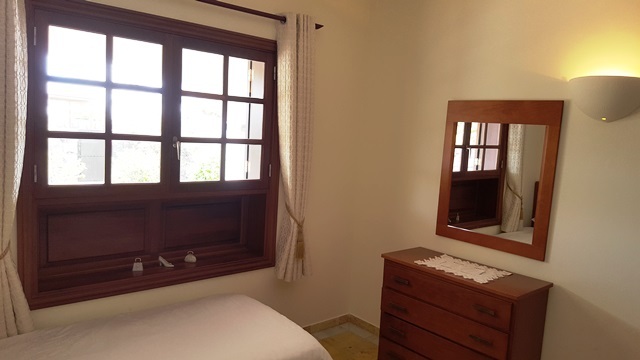 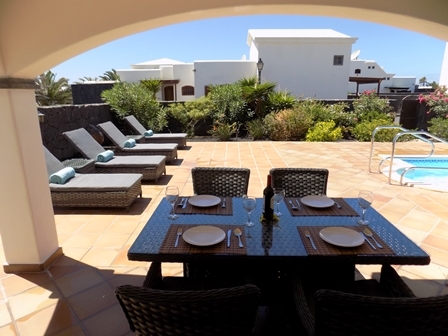 The Villa has two bathrooms (one of which is an en-suite to the master bedroom), a fully fitted kitchen / utility, Internal Dining room and canarian Style BBQ. 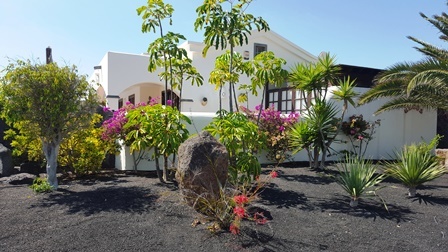 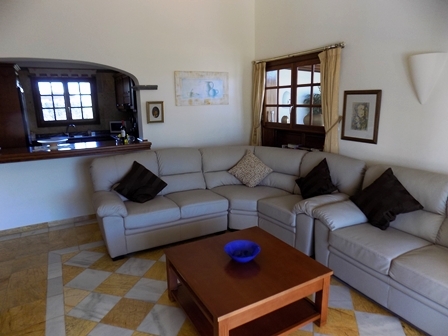 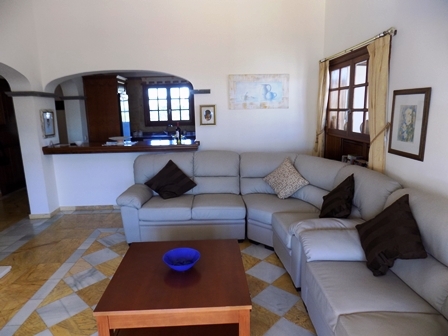 Entertainment comes in the form of Internet TV (with ITV, BBC and Sky Sports/Movies) which can be viewed on the 48 Inch flatscreen TV and the villa has optional Wifi. 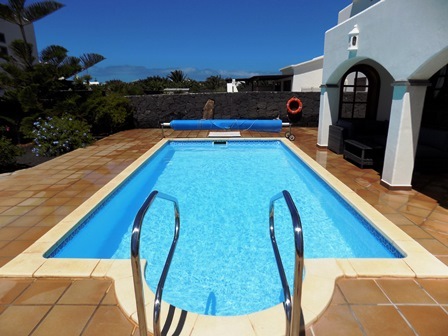 From £525 per week (2 Sharing Low Season including Wifi) to £870 per week (4 Sharing in Peak Season with Wifi), this villa can be hired by calling John or if you want more information on pricing or any aspect of the villa, why not email John at the link top right.